David Assman has added a new decal to the back of his truck after Saskatchewan Government Insurance rejected his request to put his last name on his licence plate. In a Facebook post on Tuesday, Assman said he appealed SGI’s decision, but anticipated the company would refuse the appeal. 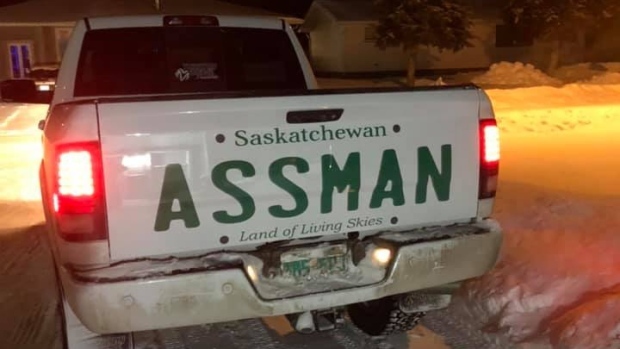 So, he added an “ASSMAN” decal, designed to look like a Saskatchewan licence plate, to his truck.